A team of 26 from XL Displays recently took part in the 5k Bubble Run on Sunday 24th September 2017 at the Showground in Peterborough. We ran in support of Sue Ryder Thorpe Hall Hospice in Peterborough and we are very proud to say that we have managed to raise over £2000 for this amazing charity. 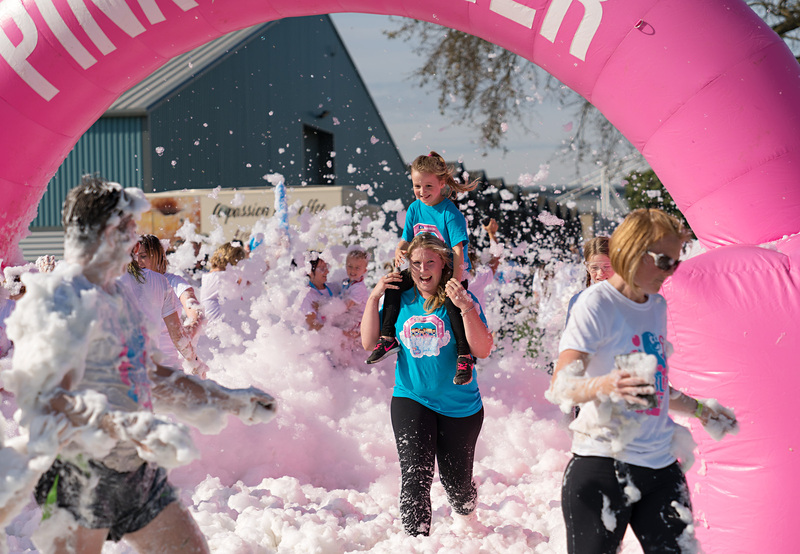 The 5k run was quite a challenge for most of the team, but the inflatable bubble stations that we had to travel through made the event extremely fun. The whole team really enjoyed themselves and we are happy we managed to raise so much for Sue Ryder.